Celebrate all that your mother does with an elegant high tea on Sunday the 12th of May 2019. 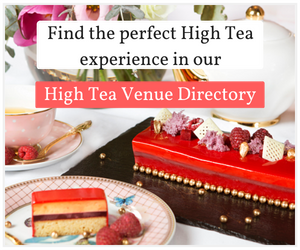 With Melbourne being the city of food it can be hard to find the perfect high tea to spoil your mum. 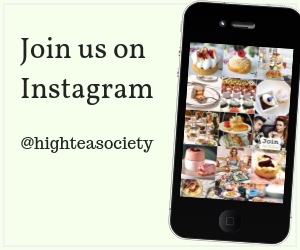 Luckily, we have done the hard work for you, here at High Tea Society we found the best of the best and compiled it all into a list. So enjoy an elegant and refined afternoon and celebrate your mother this Mother’s Day. The Hotel Windsor in Melbourne boasts old-school class and elegance with over 130 years of experience in the business of meticulously made desserts. Where better for an ultra-traditional afternoon tea? 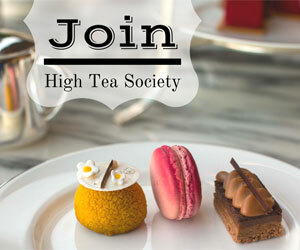 Fancy a non-traditional high tea at a stylish venue? With its high ceilings and expansive chandeliers, large windows overlooking the Yarra River and high-backed leather chairs we can’t think of a more suitable place. The two-hour sitting is great value and Aria Lounge is the perfect place to enjoy a semi-formal tea with a bit of cheeky twist. Our advice, arrive hungry. Located in Melbourne’s famous Block Arcade, the Hopetoun Tea Rooms is steeped in history. Opening in 1892, the tea rooms were first run by the Victorian Ladies Work Association and named after their founder Lady Hopetoun, wife of former Victorian Governor and Australian Governor-General Lord Hopetoun. Served on a three-tier cake stand, the bottom tier is full of savoury selections, including Hopetoun’s famous pinwheel sandwiches. Our favourite treat was the sizable pumpkin roulade filled with a generous amount of smoked salmon, goats cheese mousse and spinach. The familiar line of people who wait outside to get seated at one of the 20 tables is testament to the sensational service and sweets inside. 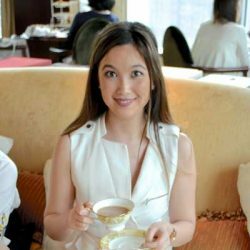 Here you are in the safe and talented hands of Sarah de Witt, the Tea Sommelier behind Impala & Peacock artisan teas and French trained pastry chef, Jessica Hillbrick. They’ll take you on a gastronomic journey filled with characterful tea infusions and delightful unique sweet and savoury treats. Strangers Corridor, Parliament of Victoria. Strangers Corridor, in the Parliament of Victoria, has been serving traditional afternoon tea since 1924. It’s a beautiful setting with light shining through the stain glass windows onto the white linen, traditional leather booths, red velvet chairs and scattered elements of gold embellishments. You’ll be offered a glass of Parliament of Victoria’s own Blanc De Blanc, Yarra Valley sparkling wine before starting the culinary journey, and learning about the locally sourced produce. We loved the warm cauliflower and washed rind cheese tarts and how the homemade pastry and caramelised cheese melted in our mouths. Delectable sweets include the seeded strawberry jam, cream and lemon curd with traditional or sultana scones, the blueberry panna cotta, layered strawberry vanilla slice and pastry tower, and rich espresso flavoured mouse. The Paris End of Little Collins Street in the very heart of Melbourne invites you for a Parisian affair. On a weekend, you’re able to indulge in an irresistible dessert buffet, where opulent macarons and decadent eclairs from famed Melbourne patisserie The Crux & Co are paired with La Maison du Thé teas and of course champagne. With nine éclair flavours such as double vanilla, passionfruit and bitter chocolate, there’s sure to be something for everyone. This applies to the wide variety of macaroon flavours, including cookies & cream, pistachio and jasmine (just amazing). The Grand Hyatt is able to cater for almost any dietary requirement something to suit any palate – from the spicy to the mild. For the more traditional there are divine chicken sandwiches and salmon with cream cheese rolls. However if you are feeling particularly adventurous why not try the chirashi sushi? The Sofitel serves high tea seven days a week. A traditional high tea is offered from Monday to Friday. However the weekend buffet menu, which features all the hallmarks of the weekday menu has an additional selection of pastries and desserts. We recommend the croque monsieur. Be greeted by a glass of Moet or Chandon champagne and enjoy the vista of Melbourne’s Town Square. You’ll also be impressed by the beautifully presented treats that are adorned with edible flowers.